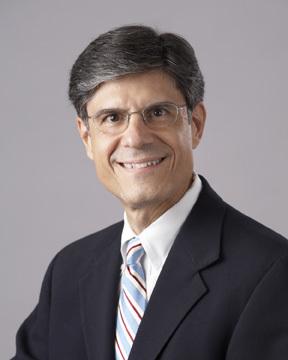 Dr. John A. Zervopoulos, a board certified forensic psychologist and lawyer, specializes in helping lawyers understand, critique, and use psychological materials and evidence in their cases. He combines his forensic psychology expertise with a lawyer’s eye to offer a unique service. With his aid, lawyers cut through confusing mental health materials and testimony and assertively address the mental health and legal reliability issues that impact their cases. As a result, lawyers clarify case themes, focus examinations of experts on questions that advance case goals, and sharpen legal arguments in court. 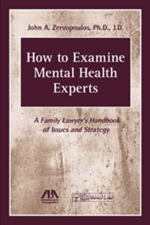 Improve your understanding of psychological issues in your cases. Identify and use relevant psychological research and materials. Refine direct examinations of your own experts. Sharpen depositions and cross-examinations of your opponent’s experts. Prepare focused Frye or Daubert challenges or defenses. Assist resolution of impasses in mediation or settlement negotiations. For services to meet these objectives, please visit the Services Page. For practice tips, visit the PsychologyLaw Brief page. For more information, visit this book's American Bar Assn. webpage.